You asked. I delivered. For those of you who are loving my reinforcement games that are made to be played with real food (or pretend objects if food isn't allowed), this freebie is for you! Lots of you wanted one that could be played with Lucky Charms cereal. Check it out! 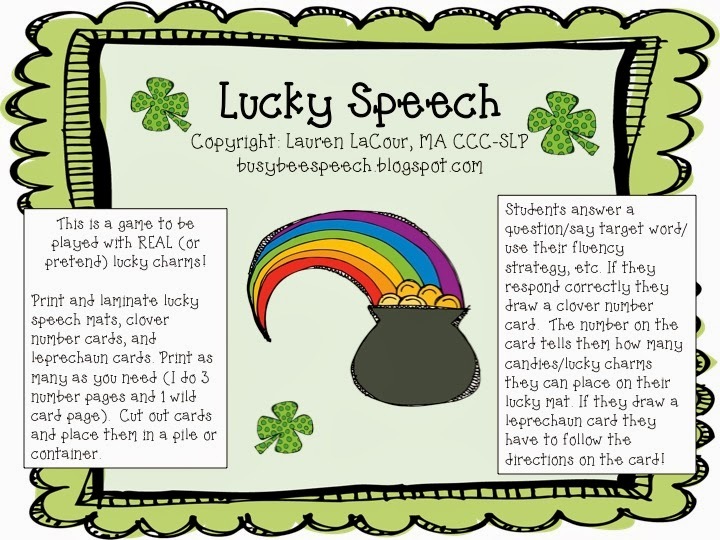 Lucky Speech is a cute St. Patrick's themed open-ended game that can be played with any skill or card deck. Check out more about how to grab it at my blog HERE.